Former "Will and Grace" co-star shares small screen with Rachael Leigh Cook. McCormack portrays Dr. Daniel Pierce, a brilliant neuroscience professor with paranoid schizophrenia who is recruited by the FBI for a side job: to help solve cases that call for expertise in human behavior and the workings of the mind. Eric McCormack is bracing himself. 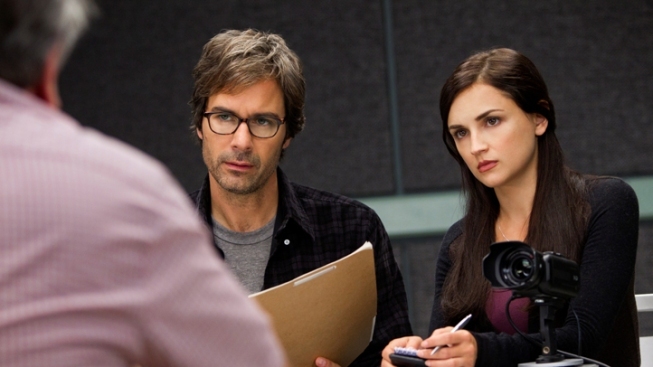 He's starring in "Perception," a new TNT drama he's very proud of. On the series, which premieres Monday at 10 p.m. EDT, he plays a character he loves. Still, he's waiting for the storm. "I've known from the beginning that we're going to have to go through a trial by fire," he says. "We just are." 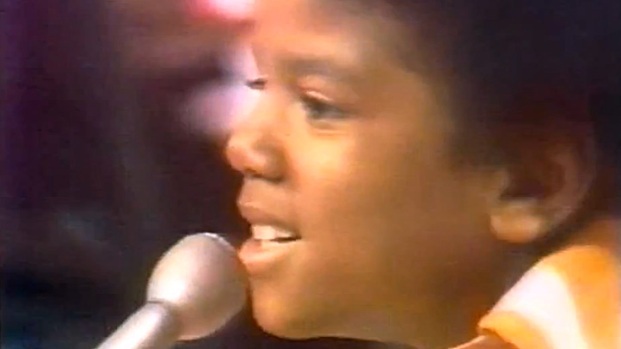 TV Way Back When: The Jackson 5 on "American Bandstand"
On "Perception" he portrays Dr. Daniel Pierce, a brilliant neuroscience professor with paranoid schizophrenia who is recruited by the FBI for a side job: to help solve cases that call for expertise in human behavior and the workings of the mind. Rachael Leigh Cook co-stars as FBI agent Kate Moretti, who, a failed marriage ago, had a crush on Pierce as a student in his classes. Were he not so challenged by intimacy issues, Pierce might now be game to reciprocate her feelings. Never mind. Their priority is joining forces to solve crimes. And they do, even as Pierce wrestles with his complicated condition, which afflicts him with hallucinations, paranoid delusions and a need to keep strict order. "The mysteries are the most delicious thing for him, and yet they stir him up, to his detriment. Every new case will be harder and harder on his psyche, causing his condition to get worse. That makes a great push-me, pull-me for the show." 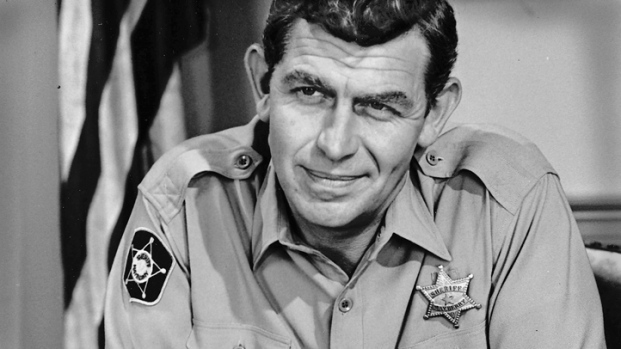 When he first read the script, the 49-year-old McCormack recalls, "I knew right away what I could do with this character. I knew the fun we could have. I also knew what people are gonna say: 'McCormack does "Monk." McCormack does "House." McCormack does "Castle.'''" "None of those guys are schizophrenic. None are lecturers at a university. He's not a (practicing) physician and he's not a detective." McCormack laughs. "Am I nitpicking. Or are THEY nitpicking?" The truth is, at the time of this interview a few weeks ago, no one is nitpicking. Yet. But McCormack is prepared for it to start. In part, that's because of his experience with "Trust Me," his follow-up series to the 1998-2006 sitcom hit "Will & Grace." A one-hour comedy-drama that aired for a season on TNT in 2009, "Trust Me" paired McCormack and Tom Cavanagh as ad men at a current-day agency. "I was absolutely baffled by the critics when they said, 'We already have an advertising show. You're riding on the coattails of "Mad Men.'''" McCormack laughed again, marveling at humans' perception of one thing in terms of things that came before. Of course, some shows decisively break from the pack. Like "Will & Grace," for instance, built around its saucy pair of BFFs: a handsome gay man and a beautiful straight woman cohabiting in Manhattan. Though it ended its 8-season network run six years ago, the show was thrust back in the news just a few weeks ago. Vice President Joseph Biden's "Meet the Press" declaration that he is "absolutely comfortable" with gay marriage nudged President Barack Obama to endorse gay marriage days later. Obama credited "Will & Grace" with doing "more to educate the public than almost anything anybody's done so far." McCormack says the "Will & Grace" team never meant to make a big deal of the message it put out. "We never wanted to be a show that said, 'Oh, and we're making a difference,'" he insists. "Taking credit for that seemed the best way to kill the comedy in the show. "But it's nice, years after the fact, to hold up our heads and say, 'It was funny and timely and even daring.' And if we made the road easier for a series like 'Modern Family,' I'm glad, 'cause it's a brilliant show." In the meantime, McCormack is looking forward to "Perception," which, he believes, will rise or fall on its characters ("Do you want to be with them every week? "), not its premise. As for the premise, whatever it is or might have been — cops or doctors or six friends sitting around an apartment being funny — "there's always going to be comparisons," McCormack says. His sporting message to critics: "Hit me with your best shot. Then let people watch it."